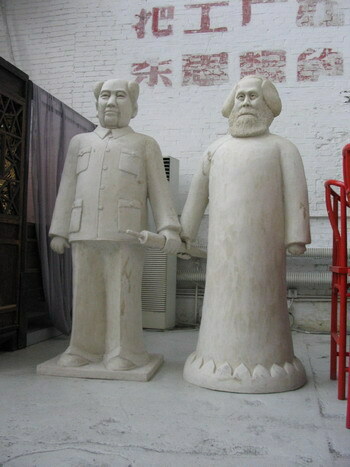 Commemorate Mao Zedong 111th Anniversary, "Yanan Clay Sculpture King" Wang Wenhai created large Sculpture《Mao Zedong and Karl Marx》exhibits in DaShanZi Art District Beijing. 1987.8 A Thousand Figurines of Children ， Yan'an ,China. 1990.6 A Thousand Painted Sculptures of Horse ，Yan'an ,China. 1993.5 A Thousand Statues of Chairman Mao ， Yan'an ,China. 1998.4 A Hundred Statues of Premier Zhou ， Yan'an ,China. 2003.9 《Dragon》 ， International Gallery Exposition ,China. 2004.4 《Sleeping Chairman Mao》 ， Today Art Gallery,Beijing. 2004.6 《Mao Zedong with Mao Zedong》，Lyon Contemporary Art Museum,France. 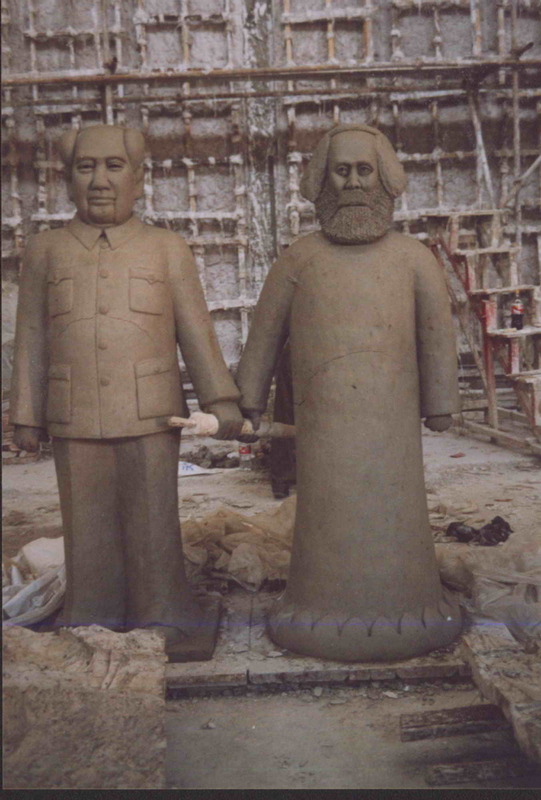 2004.12 《 Mao Zedong and Karl Marx 》，DaShanZi Art District Beijing.